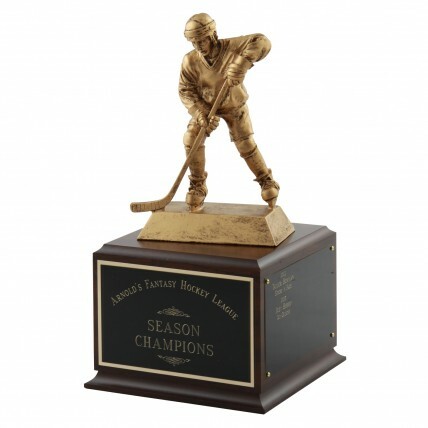 This Perpetual Fantasy Hockey Trophy is designed to spotlight your FHL winners for years to come! 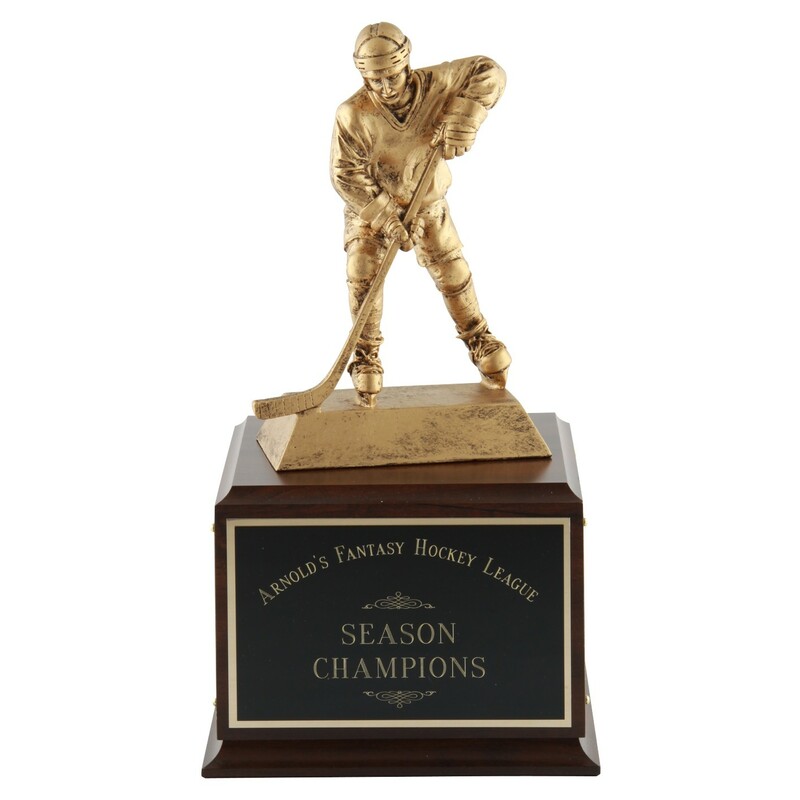 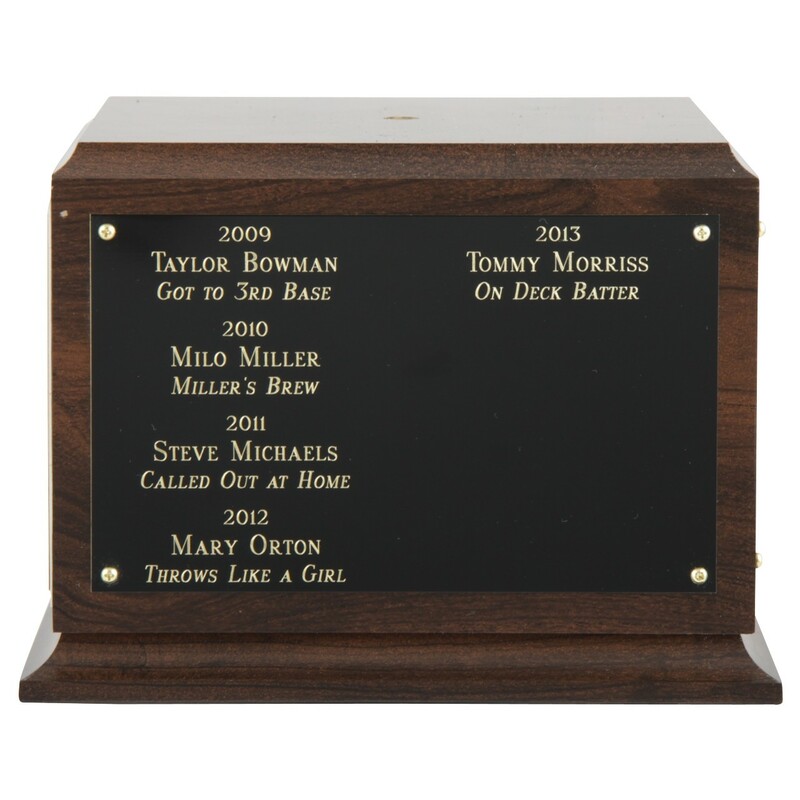 Your league name and information will be engraved on the front side of the wood base, the remaining 3 sides are for each year's winner (each side can fit 6-8 years). 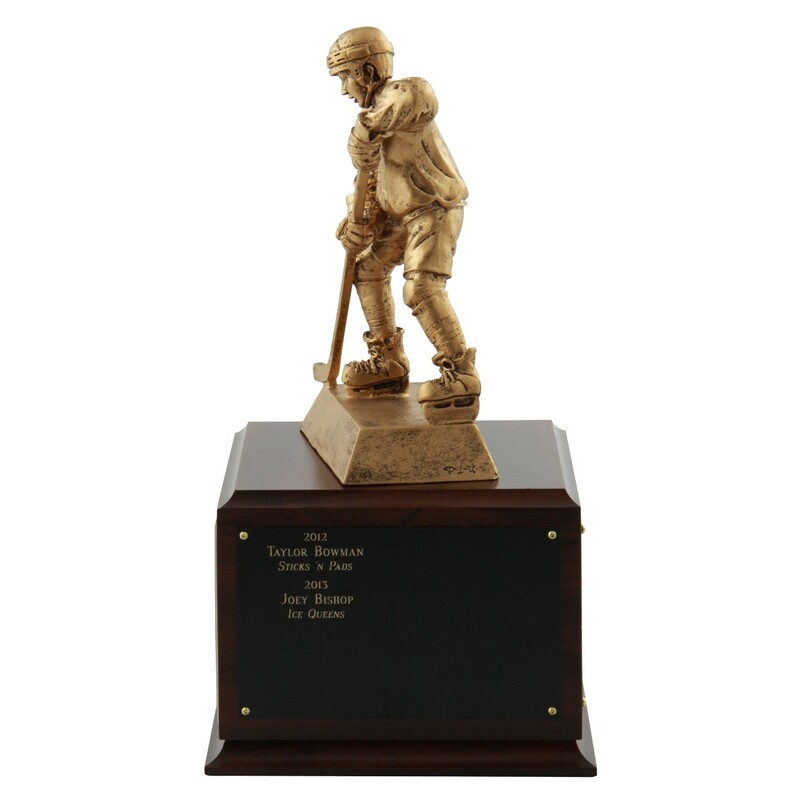 The top is a resin hockey player figure that resembles a cast bronze statue.